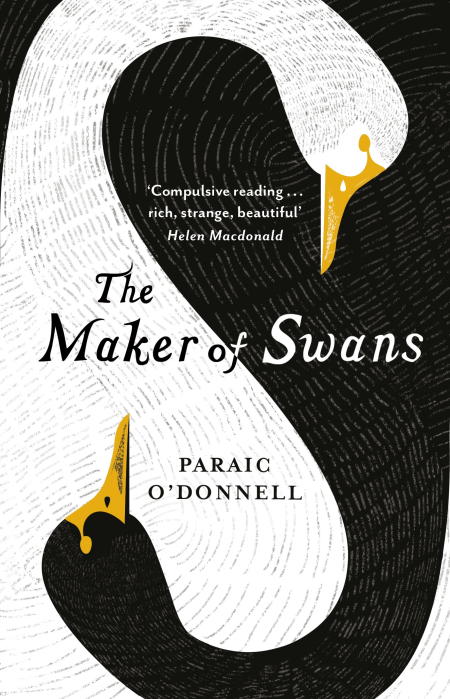 The Maker of Swans, Paraic O’Donnell’s debut novel, takes readers deep into modern-gothic British fantasy territory. Its old-world tone is reminiscent of Susannah Clarke’s Jonathan Strange and Mr Norrell and, more recently, Tim Clare’s The Honours, although it is set in more modern times than either of these (possibly the ‘60s, although it is hard to tell). The book opens with a murder. Witnessed by Eustace, the factotum to the mysterious Mr Crowe, whose job it is also to clean up after the act. Only the act itself has brought some unwanted attention to Crowe and his young ward Clara. Crowe has used his powers to kill and, as a result, has to pay a forfeit to the mysterious Dr Chastern. The forfeit involves the use of his powers and also revolves around Clara. But Clara has powers of her own. The narrative is in two very distinct parts. The first half slowly builds up to the visit of Dr Chastern and its aftermath. The second half puts the characters in very different places, explores Clara’s developing powers and dips into the lengthy history between Crowe and Eustace. The Maker of Swans maintains its deeply mysterious atmosphere throughout and this is to its benefit. Neither Mr Crowe’s nor Clara’s powers are ever fully explained, nor is the exact nature of Crowe’s forfeit and its rules or, indeed, the exact relationship of the two. Their powers are different and revolve around books and the written word but they are kept mysterious, only their impacts and effects are discussed and then often obliquely. Similarly, the effect of these powers on Eustace and his fellow familiars. The impression is that Eustace’s association with Crowe, who has clearly been around a long time, has also given him an extended lifespan but that is about as far as O’Donnell takes this aspect. The Maker of Swans is yet another example of the strength and originality of modern British fantasy and another strong debut. It has a strong sense of place, for example rich and detailed descriptions of the house and grounds in which Crowe lives with Clara, but an ambiguous sense of time. O’Donnell relies on many of the tropes of the old schools of fantasy with wizards and their servants kicking around London doing magic. But the tale itself is more decidedly modern. His coyness around the characters’ powers and its effect on others works to accentuate the mystery. Sometimes it is better when some of the detail is left to the imagination. This is one of those times.